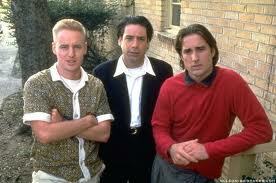 I really appreciate Wes Anderson’s films, but I’ve never seen his debut movie, Bottle Rocket. I’ve heard some mixed reviews of the film, but Rotten Tomatoes puts it at 79%, so it can’t be horrible. 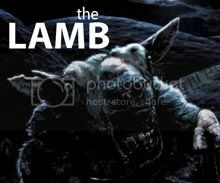 I’ve actually wanted to watch it lately, so I was intrigued when I came across the following story on IMDb this morning. The site lead me to the Dallas Observer, and then rushmoreacademy.com, where I learned of two Rocket fans who are trying to save a Texas motel featured in the film from going out of business. They’ve even organized an event at the motel to raise money, set for July 9th. This might seem silly to some – or most – but I know where the fans are coming from. What better way to celebrate the movies you love or, better yet, feel connected to them, than visiting locations they featured? I visited Washington, DC for the first time this past October, and I was able to check out the notorious steps featured in The Exorcist (on Halloween eve, no less) and I was kind of blown away. It was a unique thrill to visit a location from one of my favorite horror movies, and I was surprised to see that others were visiting the steps just to take some pictures. Part of me wants to attend the event, even though I’ve never seen Rocket. I don’t know if they’re even screening the film – a Facebook invite doesn’t really go into specifics, although it does say that you’ll “spend the evening with a group of like-minded individuals, while helping to save (the motel)”. While I won’t be there, I plan on attending in spirit by watching Bottle Rocket on July 9th. After all, I have to watch it sometime, and what better day than that? Hopefully the event will raise enough money to keep the motel around for fans of the film and Wes Anderson for years to come.